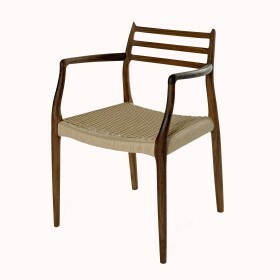 N. O Mollers company was founded in 1944. 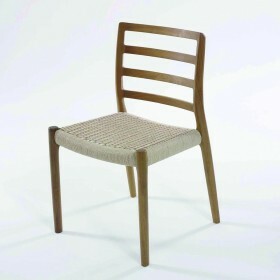 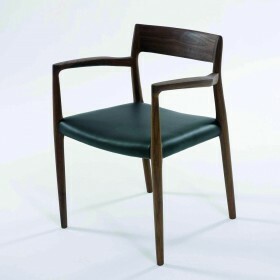 The Danish furniture manufacturer produces high standards furniture. 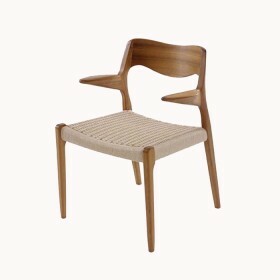 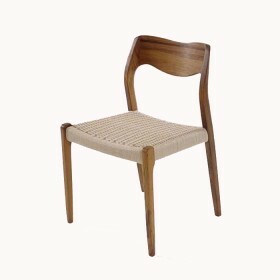 Internationally recognized for its high-quality wooden chairs wich design is following the scandinavian modern inheritage, the line is flowing, elegant and modernist. 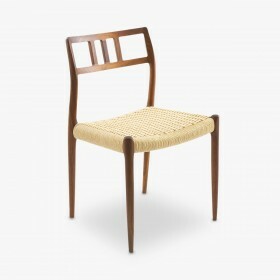 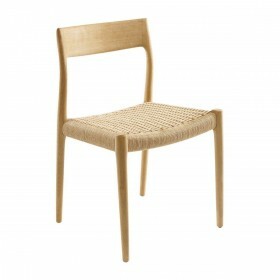 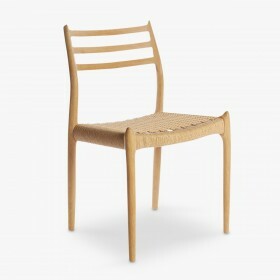 Their comfortable seating, in natural rope wich is elegantly braided also contributed to their success. 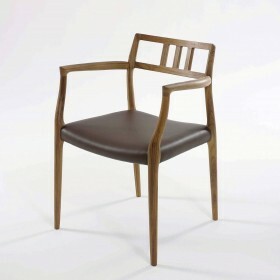 The manufacturer takes great care in the manufacture of each piece, at each stage of it, always turned toward tradition, the furniture is handmade by highly skilled craftsmen.